“I have been up against tough competition all my life. The National Association of Professional Child Photographers (NAPCP) recognizes the accomplishments and creative excellence of its child photographer members. Image competitions reward talent with medallions, priority listing on our directory, vendor endorsements, member points, titles and professional recognition. The purpose of this competition is to learn, improve, and elevate the imagery in the Child Photography Industry. NAPCP’s International Image Competition is a globally acclaimed annual digital/online photography competition. The purpose of the International Image Competition is to certify and commend images from our Member Community that epitomize compelling impact, creativity and style, technical merit, and overall distinction. Critiques are available for the purpose of education and growth. Eight Best in Category Winners are featured in Inspired magazine; Placing Winners and Images of Merit from all categories are featured in the online International Image Competition Winning Galleries. Additionally, Image Competition rewards talent with medallions, priority listing in our directory, vendor endorsements, NAPCP Photographer of the Year points, press, and professional recognition. Want to learn more about our image competitions? Images may only be submitted one time for consideration. Images may not be used in multiple categories or for any future NAPCP Image Competition. There is no limit to the number of entries that may be submitted, but please refer to #6 in that all entries must be unique. Entrant has sole discretion, using the recommended age guidelines, to choose the the category that best suits the image being entered. It will be judged based on the category submitted, and NAPCP will not be responsible for images clearly placed in an incorrect category (ie: a maternity image placed in the newborn category, or a newborn image placed in the siblings category, etc). Entries must be the complete and original photographic work of the Entrant. This includes overall concept, posing, capture, exposure, and all post processing. Third party presets and actions may be used by Entrant to enhance the quality of an image (color, contrast, skin tone, etc) as long as they do not add elements that did not exist in the original image. Purchased texture screens are allowed as long as entering the image in the Competition doesn’t violate the copyright of the artist who created the texture. Images that are a result of a workshop, seminar, or under the guidance of an instructor are not eligible for competition. If any entry submitted is a result of multiple images to create a final composite image, all images used must be the original work of the Entrant. No purchased elements or stock images that are not of the Entrant’s original creation (including skies, trees, buildings, or other objects) should be used by the Entrant to create the final image (refer to #4 for additional details). All original image layers used for composite may be requested by NAPCP. Failure to submit all original images in a timely manner will result in immediate disqualification of the Entrant’s submission. All entries must be unique compared to your other submissions. No two entries should resemble each other (example: the same or similar subject in a similar pose, location, lighting). Images must not include Entrant’s name, logo, or signature. All judging is done anonymously, and the judge can’t see the file name where the Entrant’s name is located. Images that violate copyright, trademark, or other applicable laws will be disqualified. Entrant must have a model release for any recognizable person in submitted entries and submit said release to NAPCP upon request. Submissions should be saved in JPEG format. The longest side of your image may not exceed 2000 pixels and the shortest side must be a minimum of 1000 pixels. Maximum size is 4 MB and resolution should be set to 72 DPI. Entries should be titled: LastName_FirstName_YearMonth_Title. For example: Doe_Jane_2020July_SimpleThings. Please keep in mind, names will be removed and judges will only see the Title when scoring images, please choose your title accordingly. Members will receive two credits per competition (one credit = one entry). Additional competition credits can be purchased for $25 each. Credits may not be rolled over to the following competition. In keeping with our purpose of education, NAPCP offers Image Critique for Competition entries. Any member who would like to receive this professional feedback can purchase a critique with any or all of the images submitted to the competition. A critiquing fee of $25 per entry will apply. Critique will be provided in written form by one of our highly respected competition judges. Deadline for entries shall be published on the NAPCP Website, under the Image Competition tab for members. Late entries will not be accepted. All entries will be judged and scored based on the category chosen by Entrant. All scoring for the competition is done online in our secure NAPCP Scoring Dashboard by commissioned judges. Entrant names are not visible to judges. Images will be viewed at full size for scoring. NAPCP has three main criteria for scoring images, outlined below. There are eight categories available for submissions, outlined below. Entrant should choose the category that best suits the overall feel, impact, and story of each image. The top three scores for each category will be awarded First, Second, and Third Place. Merit Recognition will be awarded to the top scoring 5% of Entrants in each category. Photographer of the Year. This prestigious designation will be awarded based on a point system that is cumulative from both the January and July Image Competitions. All scoring for Photographer of the Year is done by NAPCP and awarded at its sole discretion. Entrants are awarded points based on the following criteria. NAPCP community involvement (includes Member Facebook Group, Blog Contributions, Survey Participation, etc). Consistent portfolio of work and professional online presence. This includes Entrants professional website and updated NAPCP Member Directory Profile. All images are scored anonymously using the NAPCP Secure Online Scoring Dashboard. Judges are given ample time to complete the scoring of hundreds of images, usually about 30 days from commencement of scoring. Each image will be scored by a minimum of three different judges. Scores are then averaged using our weighted criteria below for final scoring. Impact (40%) – the sense one gets upon viewing an image for the first time. To score high in this area, an image must have a very strong first impression. Compelling images evoke laughter, sadness, anger, pride, wonder or another intense emotion. Storytelling also plays a part in overall Impact. This refers to the image’s ability to evoke imagination. What message does the viewer read, and what story does the image depict? While an image may be very impactful and memorable to your client, remember that your client is emotionally connected to the subject already, while the judges are not. Creativity & Style (30%) – important to the design of an image, bringing all of the visual elements together in concert to express the purpose of the image. The photographer’s style can be defined simply through their use of light, color, or any element that enables the audience to connect with the image. Creativity is the original, fresh, and external expression of the imagination of the maker by using the medium to convey an idea, message or thought. Technical Merit (30%) – the quality of the image itself as it is presented for viewing. Post processing, manipulation, focus, appropriate depth of field, sharpness, exposure, composition, lighting, details in highlights and shadows, skin tone and correct color are all items that speak to the technical merit of an image. Images will be scored using the following 1-10 numeric score for each criteria: Impact, Technical Merit and Creativity & Style. Professional feedback of Competition Entries is one of the best investments for learning and improvement. If an Entrant paid to have a critique of submitted images, this professional feedback will be provided in writing along with image scores after the judging process has concluded. The critique will be provided by a single judge who viewed and scored the image during the competition. All critiques will be provided in the same format as the Judging Criteria listed above, anonymously, with at least 2-3 sentences PER Criteria. 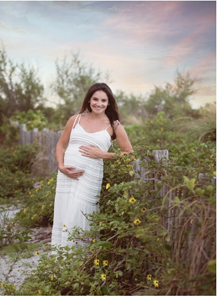 Creativity & Style: Great overall tonal harmony to this maternity portrait from mom’s clothes to the environment. Love all the textures from her dress to the wood fence and vines – all work together to create a strong sense of style. The title is well thought out given the subject and use of environment and really adds to the story you are telling. Technical Merit: I really like the use of the leading lines which draw the viewer in and right to your subject. Great use of the foreground to create visual interest and texture to the picture and tell the story. Watch for little things like the one vine to the right of mom that distracts from the image and mom’s left cheek which seems to be a bit too bright. Impact: You have created a very visually interesting photo with your use of texture, leading lines and use of your foreground. Great job of engaging your subject and creating a genuine expression. In terms of improvement, Mom seems to float to almost the centre and I wonder if you had stepped back and placed her strongly either in the centre or in the third of the frame if it would have anchored your image a bit more and created an even stronger one. Legal Disclaimer: Entrants agree that any entered photograph may be used by the National Association of Professional Child Photographers (NAPCP), in any of its publications, printed materials or electronic media, such as but not limited to, any of its websites or its affiliates’ web sites. Model releases must be available for all recognizable individuals in submitted photos. Do not submit these releases unless requested. Winning entries may be used in connection with the Competition and by NAPCP for promotion in the future. Thus, winners grant a non-exclusive, royalty-free, perpetual, limited license to use, publish, reproduce, display, distribute, use for promotional purposes and cross-promotional purposes. Photographer retains all copyright for the images. NAPCP reserves the right to disqualify any image for any reason and also to terminate the Image Competition at any time, based on it’s sole discretion.